It’s been a fascinating road since I joined TechCrunch in September 2007 to build out TechCrunch’s European arm. Five years on to the week, I’m today sitting at the still-fresh Campus London venue where hundreds of startup people pass through every week. We’ve come a long way. Five years ago you would have found me sitting in some East London coffee shop which had barely just installed Wifi. Five years ago the tech startup scene in Europe was — at least for a journalist — a little like a chicken scratching around in the dirt looking for a rare grass seed. Today, there are startup hubs, co-working spaces, accelerators, and a growing number of VCs (old and new) in Europe. Yes, the eco-system is still growing, it’s still fractured by language and geography (although low-budget airlines are helping solve that). And these days I can hit a European conference and run into great people I already know as well as a veritable tsunami of new faces, every time. And not just European: I’m including our cousins in the Middle East and Africa in this as well. It’s been fun. Maybe we should have a birthday party or something? 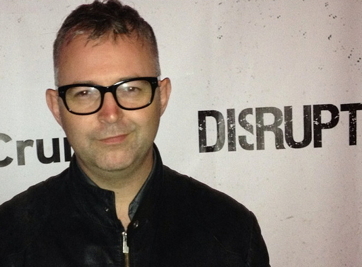 Mike Butcher is the EMEA Editor for TechCrunch and writes about US and international startups generally. He loves to be the first to write about cutting edge startups in Europe, the Middle East and Africa, and interviews people for TechCrunch TV. A former grunge/thrash rock drummer, Mike became a long time journalist, and has since written for UK national newspapers and magazines including The Financial Times, The Guardian, The Times, The Daily Telegraph and The New Statesman. He is a former editor of New Media Age magazine, the leading new media weekly in the UK, and was an executive editor on the European edition of The Industry Standard magazine. He’s been named as one of the Top 100 most influential people in technology in various lists over the years from GfK NOP, The Independent, The Daily Telegraph, London’s Evening Standard Newspaper and Wired UK magazine annually since 2010. He has spoken about European startups at the Monaco Media Forum, Le Web, London Web Summit and attended Davos / The World Economic Forum as a “Media Leader”. Mike is a regular commentator on the technology business, appearing on BBC News, Sky News, Channel 4 and Bloomberg. Mike’s personal blog is mbites. Outside of this, Mike is also co-founder of the co-working space TechHub, an adviser to the non-profit Coadec and Mike has also served a pro-bono role on the Mayor of London’s Digital Advisory Board. Here’s how to pitch him stories. Ingrid is a writer for TechCrunch, joining February 2012, based out of London. Before joining TechCrunch, she was at paidContent.org, where she was a staff writer, and has in the past also written freelance regularly for other publications such as the Financial Times. Ingrid covers mobile, digital media, advertising, social media and the spaces where these intersect, and she’s always (always) on the lookout for a good story. She was born in Moscow, grew up in the U.S. and now lives in Europe. When it comes to work, she feels most comfortable speaking in English but can also speak Russian, Spanish and French (in descending order of competence). Natasha is a reporter for TechCrunch, joining September 2012, based out of London. She arrives after a stint reviewing smartphones for CNET UK and, prior to that, more than five years covering business technology for silicon.com (now folded into TechRepublic.com). At silicon she focused on mobile and wireless, telecoms and networking, and IT skills issues, and has also freelanced for organisations including the Guardian and the BBC. Natasha studied English at Cambridge University, and also holds an MA from Goldsmiths College, University of London. Steve O’Hear is probably best known as a technology journalist, currently at TechCrunch where he focuses mainly on European/UK startups, companies and products. From April 2011 to February 2012, he was co-founder and CEO of expertise platform Beepl where he helped the company navigate its first VC round, along with seeing the product through development, private alpha and a high profile public launch. Although he’s a ‘failed’ entrepreneur he’s returning to journalism and with the startup scars to prove it. Along with TechCrunch and last100, Steve has written for numerous publications, including The Guardian, Macworld UK, Mobile Industry Review, TES, ZDNet and ReadWriteWeb, on topics ranging from the social web, educational technology to consumer electronics. From 2006 to 2008 he wrote the ZDNet blog ‘The Social Web’. Steve also wrote and directed the critically acclaimed Silicon Valley documentary ‘In Search of the Valley’, which was released in September 2006. In 2002 Steve was made a fellow of the National Endowment for Science, Technology and the Arts. Fom 2004 to 2005 he served on the board of governors for the University of East London. Steve is also one half of ProtoBake Labs, an ‘ideas incubator’ he co-founded with Pete Harris. Here’s how to pitch him.